You are here: Home / Featured / The Completely Insane Guide To Every Marvel Original Graphic Novel Ever! Beginning in 1982 with Jim Starlin’s Death of Captain Marvel, these over-sized (often between 60 to 90 pages of story as opposed to a traditional floppies’ 24) books were Marvel’s efforts at a prestige, mature selection of material. Numbering somewhere in the 70s (depending on your accounting flexibility), these high-end formats ran through the early 90’s. More recently, the original graphic novel line has returned to Marvel with 2013’s Avengers: Endless Wartime. The line is strangely sporadic, seeing only 12 releases at the time of this guides launch five years later. Up front, the most important thing I can clarify is that “original Marvel graphic novels” are not the same thing as collected trades of Marvel Comics. To be included on this list, the story had to have been released in one complete package, not in a series of single issues. I also made the gut call that included stories must exceed 50 pages (which rules out a number of on the fence books like Excalibur: The Sword is Drawn or Punisher: G-Force). The end result is a list of stories that vary wildly in quality, relevance, and impact. A handful of books on the list are all-time greats in the Marvel canon, and are denoted with the Comic Book Herald logo next to the book’s title. For the most part, though, many of these OGNs are passable at best and downright awful at worst. I’m not even kidding when I say I’ve had to seriously debate Wanted’s place as my least favorite comic book of all time after reading the likes of Dazzler: The Movie. In truth, much of my obsession is inspired by the uncollected mystery of these books, which you’d think would have been some of the more obvious staples in the Marvel canon. While a handful of these items are listed in Marvel Unlimited, and a handful more are available digitally via Comixology (but strangely aren’t on Marvel Unlimited at time of publication), a fair amount of these comics are only available through the time-tested comic store hunt. Below you’ll find a complete guide to all Marvel original graphic novels. The first Marvel Graphic Novel in 1982 marks the formal conclusion of Jim Starlin’s time on Captain Marvel (the Kree born Mar-Vell, not Carol Danvers). 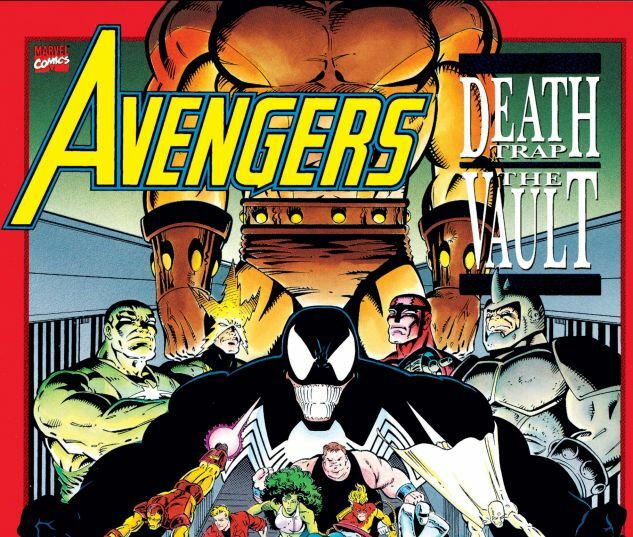 Although we’ll see the Marvel Graphic Novel line take a few forms, this marks the beginning of the period of oversized collections that ran until 1993. A Michael Moorcock story adapted by Roy Thomas and P. Craigh Russell. Marvel’s third graphic novel is mildly complex given its placement in the Dreadstar continuity series creator Jim Starlin had already started weaving across Marvel’s “Epic” comics imprint. From what I understand, the series begins in “Epic Illustrated” issues #1 to #9, proceeds to “The Price” graphic novel, and then makes its way to the official Marvel Graphic Novel #3. Since Dreadstar is awesome, it’s worth noting that the series would continue as a solo title from here published by Epic Comics. The fourth original Marvel Graphic Novel brings X-Men writer-at-large Chris Claremont into the fold (alongside Bob McLeod) and delivers an in-universe essential with the debut of the New Mutants! For my money the best of the first 20 OGNs, and one of the best single stories of the 15+ year era of Claremont on X-Men. Right around the time he’d begin his iconic all-time great run on Marvel’s Thor, Simonson turned a concept he created in college into this Star Slammers graphic novel. By Don McGregor and P. Craig Russell. Fresh off his defining work as the artist behind the All-New X-Men, Dave Cockrum got the chance to build his own super-team with… X-Men-like designs. By Rick Veitch. Note that this collected version includes short-story collaborations between Veitch and Watchmen writer Alan Moore. The controversially violent return to Marvel from Howard the Duck creator Steve Gerber, alongside artist Val Mayerik. After a stretch of about six OGNs that don’t tie in to ongoing continuity very dirrectly, James Shooter and Frank Springer’s “Dazzler: The Movie” tried to jump back in to the world of mutants with a pitch for a Dazzler movie plot. Genuinely one of the worst – maybe the worst – comic I’ve read. Space pirates were all the rage in these early Marvel OGN days, with a story here crafted by Bill Mantlo, Jackson Guice, Geoff Isherwood, and Colleen Doran. In the vein of the classic 60’s Journey Into Mystery world-building tales of Asgard by Stan Lee and Jack Kirby. This story (with a brief Thor cameo) is by Alan Zelenetz and Charles Vess. 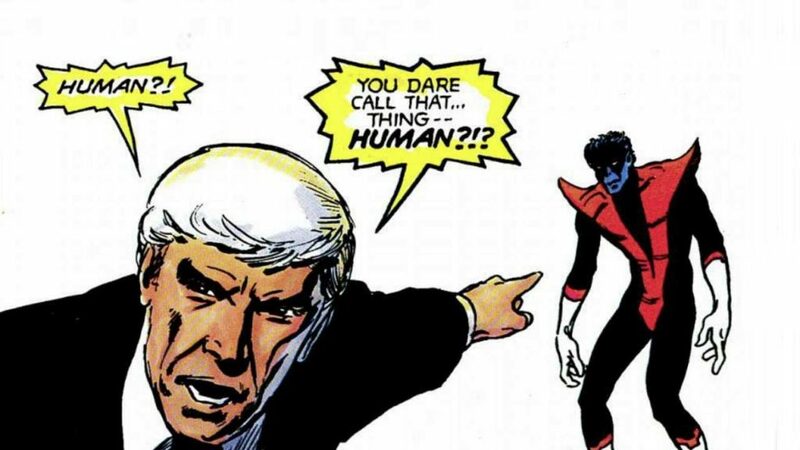 Written by David Michelinie with art by Marc Silvestri, “Revenge” is the most directly we’ve seen the OGN line connected to the entire Marvel Universe. The story is also rooted in the ongoing continuity of the superhero line, with details like She-Hulk on the Fantastic Four. In broad strokes, the story focuses on The Living Pharoah’s ascent into a Living Monolith in NYC, with the likes of Spider-Man and Captain America around to try and stop him. John Byrne famously reinvented Jen Walters, aka She-Hulk, during her earliest days in the Marvel Universe, first making her a member of the Fantastic Four, and then developing her in this OGN and her own ongoing series. Byrne’s She-Hulk is generally a comedy, with a hefty dose of fourth wall breaking, but he won’t hit his stride with the character until the solo ongoing. 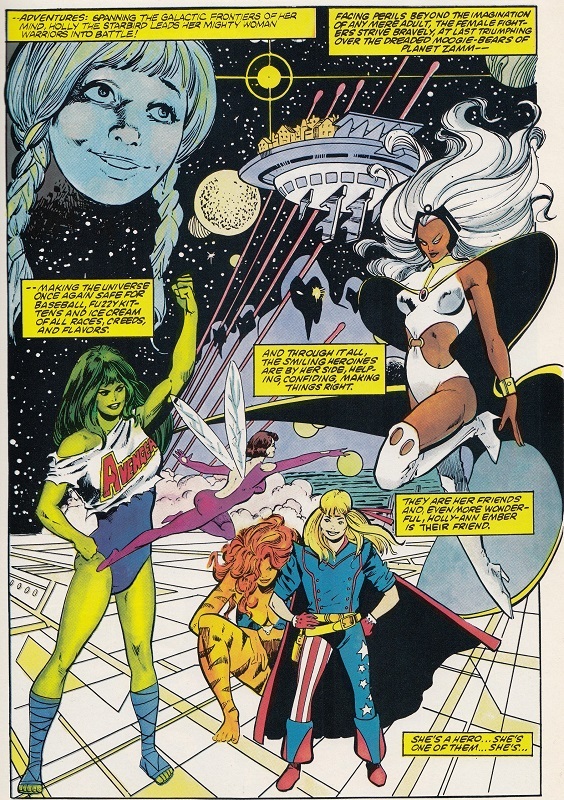 Written by Chris Claremont with art by John Bolton, Marada the She-Wolf is one of the most critically adored Marvel graphic novels, particularly in regards to Bolton’s artwork. Spidey gets his first graphic novel, here published in 1986 by Susan Putney and Bernie Wrightson. Technically, this one-shot was not published in the oversized graphic novel format. Nonetheless, at 65 pages of comic, with an underrated and influential Spider-Man / Wolverine team-up, I’m putting it in the same class. This story is written by James C. Owsley (before he was known as Christopher Priest), with art by Mark Bright and Al Williamson. Doctor Strange’s first original graphic novel becomes an instant underrated classic for the character, written here by JM DeMatteis with art by Dan Green. Definitely one of the more essential releases in the Marvel OGN canon, spiraling out of Frank Miller’s time writing Daredevil with incredible art by Bill Sienkiewicz. The design of Kingpin by Sienkiewicz here is the most resonant, especially in the 2018 movie Spider-Man: Into the Spider-Verse. A personal favorite, and without question the biggest and most relevant Avengers original graphic novel in the line to date (published in 1987). 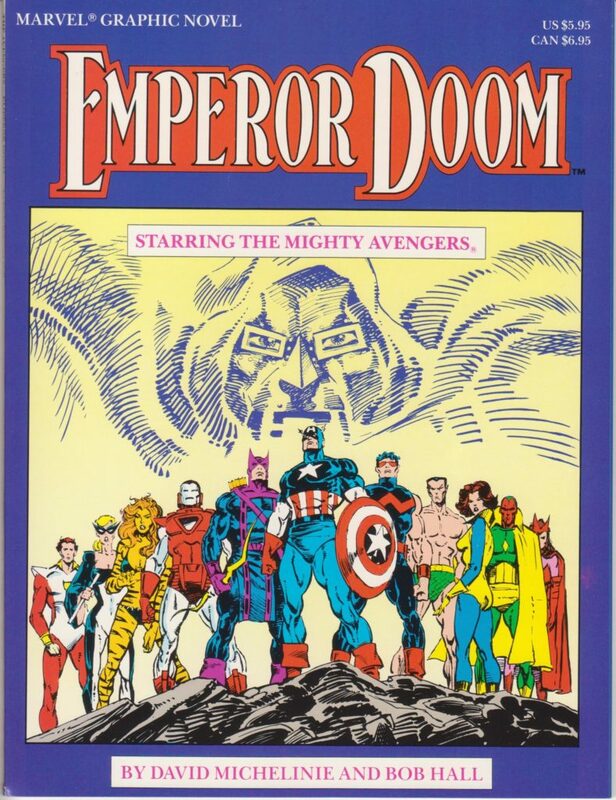 As the title suggests, “Emperor Doom” looks at the state of the world when Doctor Doom wins! Written by Larry Hama, Wolfpack would go on to get its own ongoing series in the late 1980s. A weirdly compelling Thor story that goes completely overlooked in Thor comics canon. Written by Jim Shooter and Christopher Priest (at the time known as Jim Owsley) with art by Paul Ryan. Important and relevant inclusion in the Cloak and Dagger Marvel continuity, with a story by Bill Mantlo and art by Larry Stroman. Written by Stan Lee with art by John Buscema. 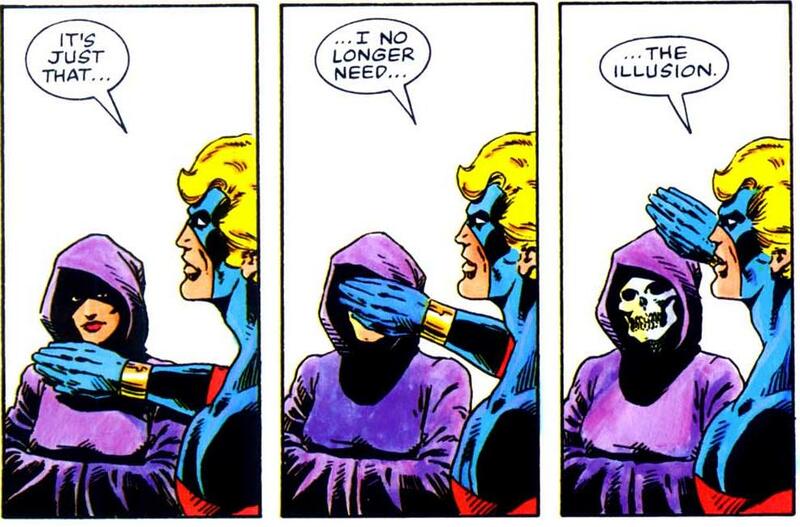 By Ann Nocenti and Bre Blevins. 1988 brought the Punisher his first formal graphic novel, with a story by the endlessly underrated Jo Duffy, and art by Jorge Zaffino and Jule Michel. The Punisher teams up with an assassin’s guild out of Asia, with great artwork throughout. Marvel OGNs Enter the 90’s! Published in 1988 with a story by Ernie Colon. From what I can tell, Marvel Graphic Novels move away from a numbered release system at this point. The best signs of ties to continuity instead come through publication date, and of course context clues within the stories themselves. Published in 1988, the same year as the major motion picture release of the film with the same name! One of my all time favorite comics, full stop. Roger Stern and Mike Mignola (of Hellboy fame!) 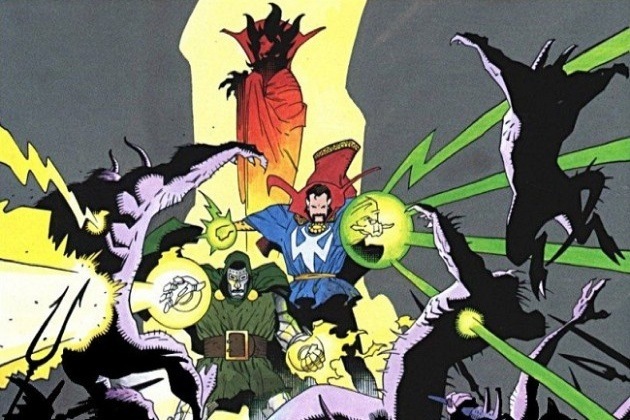 team-up for this all-time great Doctor Strange and Doctor Doom tale. Right up there with “God Loves, Man Kills” and “Daredevil: Love and War” for must-read OGN status. Is included on Marvel Unlimited! Archie Goodwin and Howard Chaykin deliver this Wolverine and Fury team-up, in the 1989 feature debut of both characters in the OGN line. Story by Gerry Conway, Alex Saviuk, and Andy Mushynsky. Although it’s published in 1990, this Spidey graphic novel is a throwback to classic Spider-Man, focusing on the love story of Peter Parker and Mary Jane Watson. Following the conclusion of the amazing twelve issue Squadron Supreme maxi series writen by Mark Gruenwald in 1985, this graphic novel sequel continues the Squadron’s saga. Included in Marvel Unlimited! A Power Pack and Cloak and Dagger team-up, by Bill Mantlo and Sal Velluto. I was prepared to write off “The Agent” as irrelevant to the Marvel Universe, but it actually features a story with MU ties, including the Tinkerer and Nick Fury. Stan Lee’s return to the sentinel of the spaceways continues into 1990, here with art by Keith Pollard. Note that this volume is included in Marvel Unlimited! Written by “Circle of Blood” writer Mike Baron. By Gerry Conway and George Freeman. An eye-opening creative combo of Chuck Dixon (writer of Batman: Knightfall, among others) and Timothy Truman (author of Hawkworld!). Peter and MJ take a second honeymoon. It’s haunted. Wolvy’s 1990 graphic novel by Alan Davis is included in Marvel Unlimited! The ongoing Excalibur lineup of Captain Britain, Meggan, Kitty Pryde, Rachel Summers and Nightcrawler make their way to Marvel’s graphic novel scene! Wolverine’s ongoing graphic novel saga involving Nick Fury continues, this time by Tom DeFalco and John Buscema. Somewhat ahead of its time (the plot foreshadows events to come in the Marvel Universe), with a fun story by Danny Fingeroth and Ron Lim. Venom stages a prison break, and it’s up to the Avengers (and… Freedom Force?) to stop the baddies. Alan Grant and John Wagner of Judge Dredd fame deliver a Punisher standalone story. By Jim Starlin and Bill Reinhold, during Starlin’s Infinity Gauntlet heyday! Another “maybe / maybe not” entry in the OGN canon, but at 68 pages of self-contained story by Peter David and Andy Kubert, this one goes on the list. “Rahne of Terra” is a pretty wild ride, invested heavily in early 90’s New Mutants continuity (in particular, the narrative of Wolfsbane). Make no mistake, Wolverine’s in the title to sell copies, but this one’s more for New Mutants diehards. Not to be confused with the 2011 Marvel wide event of the same name, “Spider-Man: Fear Itself” is a 1992 graphic novel by Gerry Conway and Stan Lee, with pencils by Ross Andru. Included in Marvel Unlimited! Daredevil and Black Widow team up to investigate a series of murders inside SHIELD, in a story by Jim Starlin! The 1990’s trinity of cool team-up in this pre-Midnight Sons era book by Howard Mackie, John Romita, and Ron Garney! Sequel to the late 80’s OGN “Scorpio Connection,” this time written by Howard Chaykin with art by the underrated Shawn McManus. The “Terra” series continues, with a script by John Ostrander. 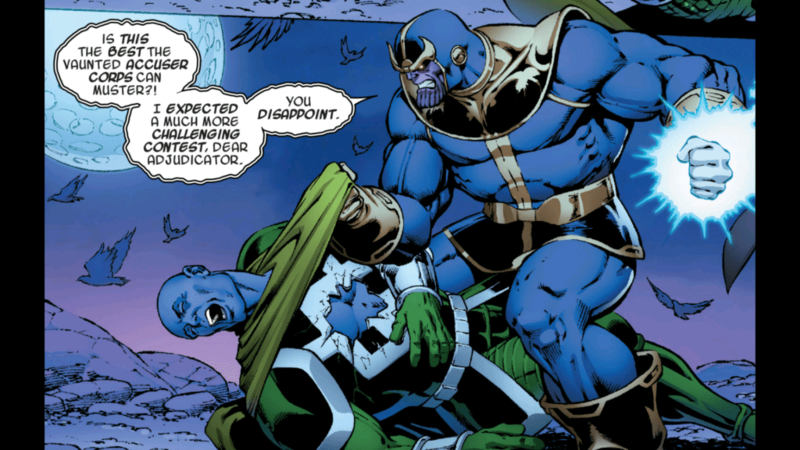 Now that’s how you Thanos trash talk! By Warren Ellis and Mike McKone. Ellis is an all-time great comic book writer, but his Avengers graphic novel is simply too slight for its own good. There are humorous moments (most memorably regarding Hawkeye’s general odor), but this read will barely get you through a drive-through wait time. By Mark Waid, James Robinson, and Gabriele Dell’Otto. Family Business is a very solid Spider-Man vs. 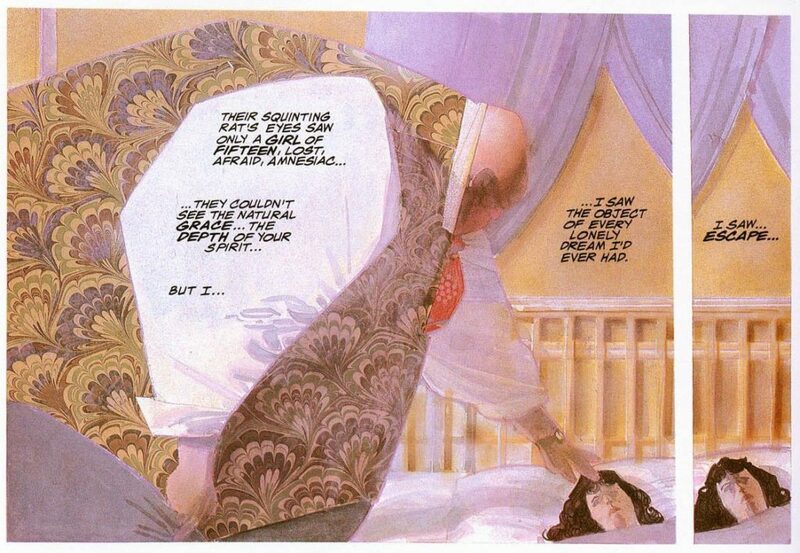 Kingpin story, with a twist in the Peter Parker tapestry that has impacted ongoing books like Peter Parker, the Spectacular Spider-Man into 2018. By Rick Remender, Jerome Opena, and Pepe Larraz. This is the first post 2015 Secret Wars Marvel OGN, reflected in the moder Avengers lineup. Jerome Opena’s art is stunning, and this graphic novel is the last good book Rick Remender wrote for Marvel after all-time great runs on the likes of Venom and Uncanny X-Force. This OGN has had a shockingly notable influence on in-universe continuity as well, showing up in series like Uncanny Avengers and Secret Empire. Jim Starlin returns to Thanos for the first of two OGN exclusive trilogies. By Rob Liefeld, Chris Sims, and Chad Bowers. A remarkably strange approach to a Deadpool graphic novel released in 2017, paying respects to his early 90s appearances… before he was genuinely interesting. Unsurprisingly, Squirrel Girl creative team Ryan North and Erica Henderson deliver the best of the modern Marvel OGNs, with a story that very much feels a part of the ongoing Unbeatable Squirrel Girl series.